Katie Taylor Twitter: “A great feeling to wake up as Unified World Champion! Thanks to everyone for the support”. Irish company, Wildcard, have acquired the distribution rights for the new Katie Taylor documentary, KATIE TAYLOR: THE COMEBACK, with an Irish cinema release set for later this Summer. The news follows Katie’s IBF World Title win over the weekend. The film, which is directed by Ross Whitaker (Unbreakable: The Mark Pollock Story) intimately follows champion boxer, Katie Taylor, as she attempts to rebuild her career after a year of turmoil threatened to derail it. With many writing her off, Taylor decided to start again, and the notoriously private champion agreed to let a small crew document her attempt to rescale the heights. 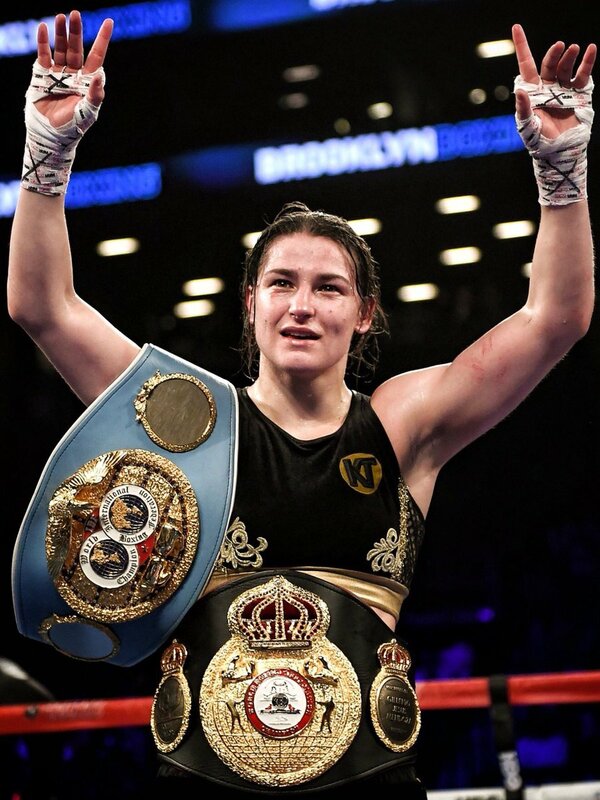 Katie Taylor has won six amateur European championships, five world amateur championships, and is an Olympic Gold Medal winner from the London 2012 Olympic Games. She turned professional after a disastrous campaign at the Rio 2016 Olympic Games, which saw her crash out in the first round, despite being favourite to win. The film unravels the deeply personal reasons behind the career low, and shows the champion’s grit and determination to start over as a professional. Taylor won her first world title within a year, and became the first woman in history to headline her own Sky Sports show. She added the IBF title to her WBA crown on Saturday night, and is now one of only seven professional women boxers to hold unified titles across the different weight divisions in the sport. The documentary is produced by Ross Whitaker and Aideen O’Sullivan (When Ali Came To Ireland) for True Films and Venom with Andrew Freedman (His & Hers, Mom and Me) as Executive Producer, with funding from the Irish Film Board / Bord Scannáin na hÉireann, RTÉ, the Broadcasting Authority of Ireland, and Wildcard Distribution.